Special Offer: Order 2 items of this product for a total of just £12.00. Westland Gro-Sure® Easy Container Compost 50ltr Bag containing unique water storing crystals, and 6 months rich nutrient feed, is a must for container growers. Watering and feeding regimes have long been a large downside of container gardening, whether it be pots, containers, baskets or planters. Gro-Sure addresses that balance with the unique formula that retains and supplies nutrients, and holds and moderates water supply to the plant. Gro-Sure ® Easy Container Compost benefits from the West+ ® Natural Fibre Technology producing stronger roots & bigger plants. 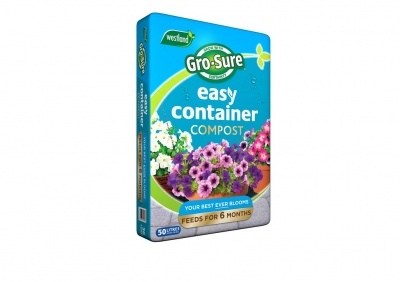 GRO-SURE® Easy Containers Compost takes all the guess work out of container gardening. Westland estimate 48 million UK residents take part in container gardening, Gro-Sure® Easy Containers Compost makes it easy to create a stunning display whatever the size of your balcony, patio or garden. 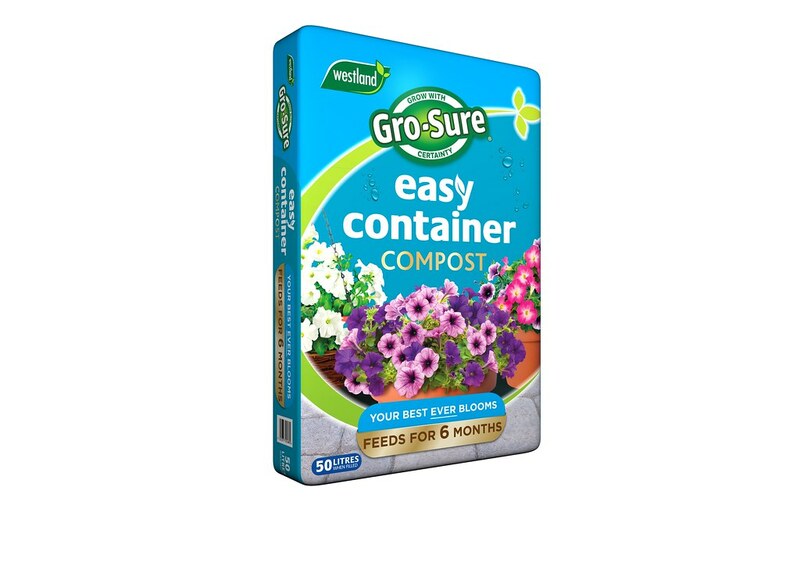 Uniquely featuring clay water storing pockets, which hold onto water and slowly release it over time, Gro-Sure® Easy Containers Compost acts as an insurance policy to guard against under watering. It also contains Westland’s unique West+ technology for enhanced root growth and enriched seaweed for plant health. And there’s no need to worry about feeding, as the entire season’s feed (6 months) is already included, saving time, hassle and money. This is more feed than in any other Gro-Sure compost! So just sit back, relax and enjoy your pots and containers all season long!